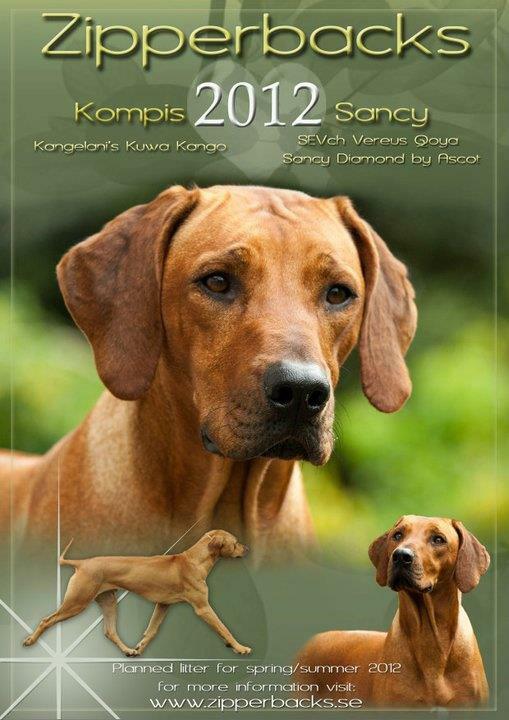 My lovely boy Kangelani's Kuwa Kango will sire his 1st litter early next year, dame is SE Vch Vereus Qoya Sancy Diamond by Ascot. This litter will be by artificial insemination. You can read more about his upcoming litter at Kennel Zipperbacks website. Some less happy news as well. Unfortunately Kangelani's Gentle Leo Son by Clay's planned litter in Finland will not be at this time as Puma went empty.